In silence, I recalled the many phone conversations I had with Mama where she told me how much time she was spending writing prayers, editing, etc. 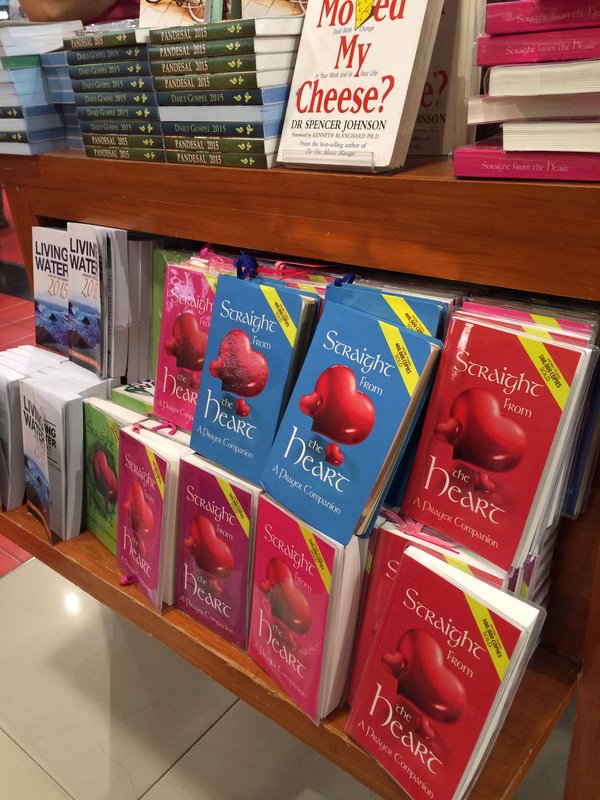 In fact, when the Filipino Edition was being written, she asked me to help. I told her I didn’t have time but I said I will try to write one prayer. But I never got the chance to do it. I was in London during that time and I never really showed much interest about the book. 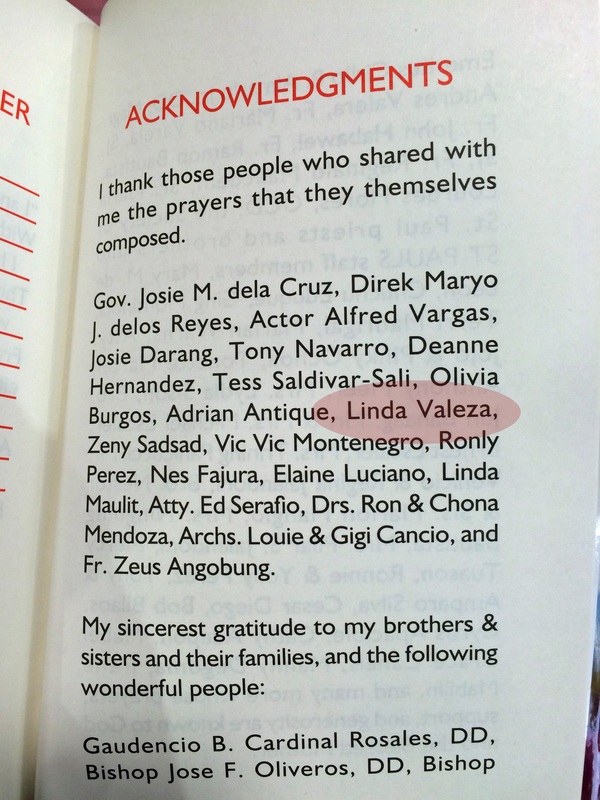 Anyways, I proudly showed my friend Mama’s name written at the back of the book. I also told my friend that I don’t particularly remember which prayers Mama wrote but I remember her telling me about one prayer – the Widow’s Prayer. 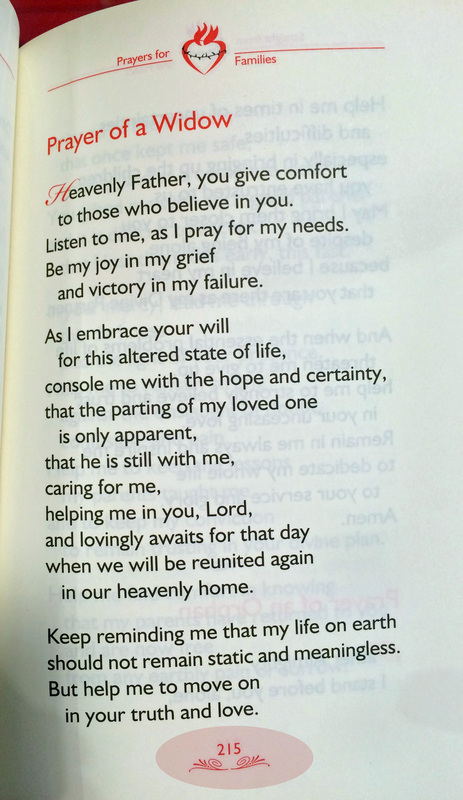 A prayer that reflects the daily beatings of her heart. She must have truly suffered in silence when we lost Papa. 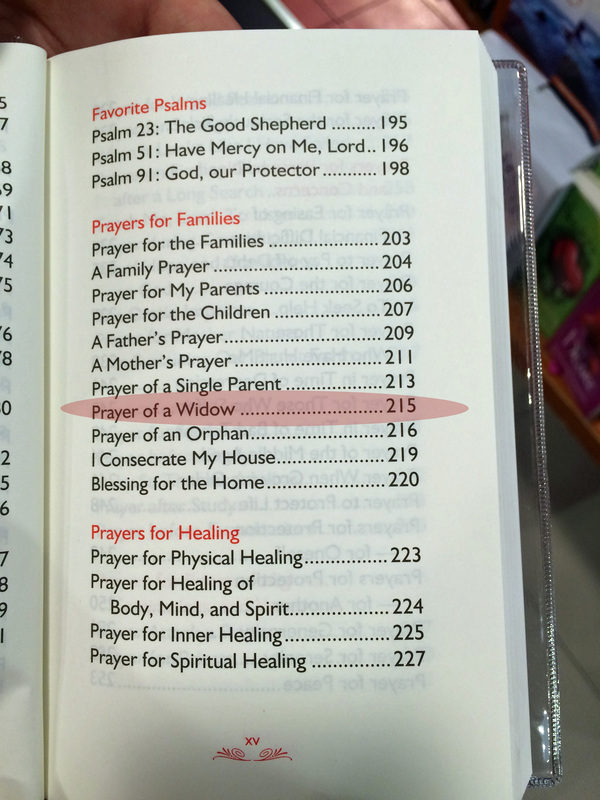 I searched for the ‘Prayer of a Widow’ and my whole body shivered when I saw that the prayer can be found on Page 215. Two-Fifteen –February 15 – the day Mama joined her Creator – the day when Papa welcomed her in the gates of heaven, the day when she is a Widow no more. I miss you very much, Mama. I still talk about you with my friends even those you have not met, even those you have not known. I want people to know how wonderful you are.